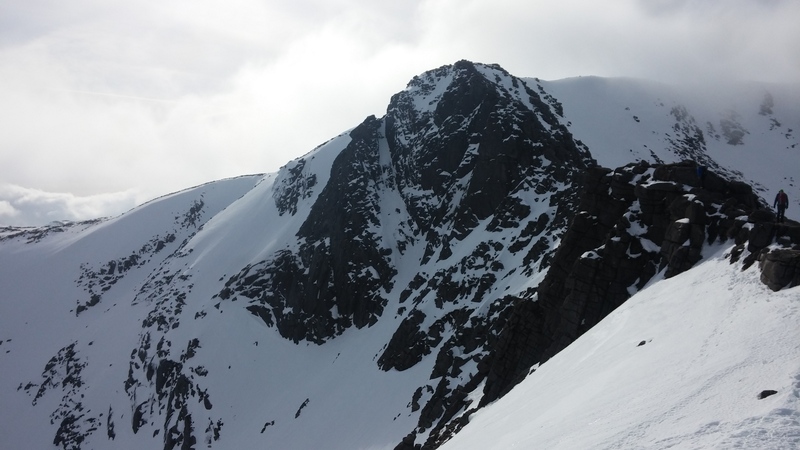 This download includes a PDF, a jpeg image of worship, a jpeg image of a mountain ridge and a Powerpoint for use during the session (‘show slide’). We’re thinking of the word ‘Stand’ in relation to worship and prayer. When I did this session, I bought some party bags from ebay (7" by 5"), printed up the worship flyer which is printed below, or can be accessed by clicking below. I also bought everyone a small toy Roman soldier (thinking of Ephesians 6 and standing in the full armour of God). I put the worship flyer, the Roman soldier and a small piece of Kinder chocolate in each bag and gave a bag to everyone. The worship flyer can found by clicking on the flyer image further down in this session - or click on the top download on this page which will includes the flyer and an A4 PDF page which has specially sized to get two correct size flyers on. Each one is just a bit smaller than postcard size to fit in the bag. Whenever we hear the word ‘Stand’, a good place to start is Hillsong, “The Stand” (show slide). "I'll stand, with arms high and heart abandoned. In awe, of the one who gave it all. I'll stand, my soul Lord to you surrendered. All I am is Yours." 1. We stand – expressing worship physically – reaching up and out to God – opening ourselves up. 2. Our heart is abandoned (and our mind) which doesn’t mean vacant, it means given over to God. 3. We are in awe of who God is which means awe as in reverence (putting him first), holiness (doing right) and looking at God's greatness and awesome-ness! 4. We worship because of who God is and what he’s done. 5. Our worship goes from our spirit and moves into our soul, our physical, emotional, mental being. 6. We surrender to God completely, giving all of ourselves in every way. 7. Our worship is to God and God alone. There’s a song that says, “I surrender all, I surrender all, all to thee my loving Saviour, I surrender all.” Someone cheekily said that at times in our Christian lives, we could maybe more accurately sing, “I surrender one tenth…” But this isn't the way to true worship - worship is about giving all of ourselves to God and then watching him do amazing things! 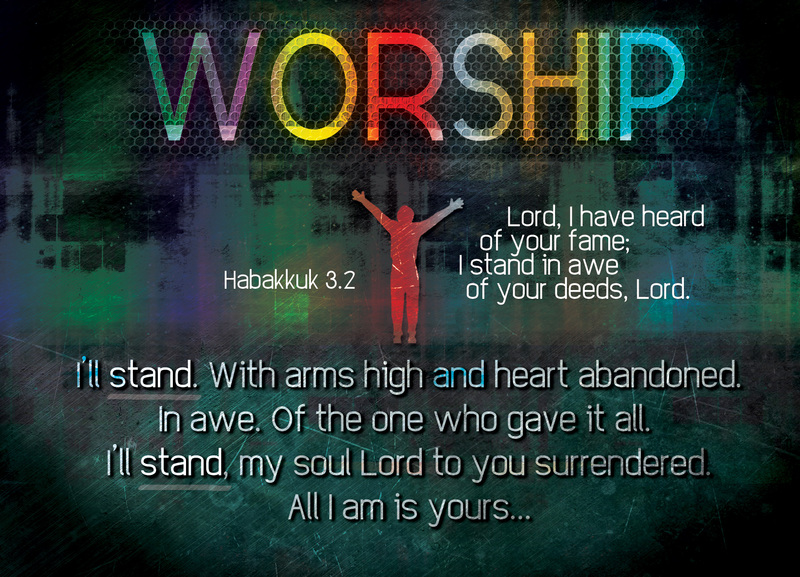 Habakkuk 3.2 - Lord, I have heard of your fame; I stand in awe of your deeds, Lord. Repeat them in our day, in our time make them known; in wrath remember mercy. Matt Redman has said that worship is a response to the revelation of who God is. Worship is our response to what God has done, does, will do. When we see who God is and really get this deep down, worship is the only response possible. (Show slide). Well, in the song “The Bleak Midwinter”, the song writer asks the rhetorical question about our response to God and says, “What can I give him?” Good question! The response says, “Give him my heart.” Worship isn’t just an outward expression but it’s an inward surrender of all we are, think, do, have to God. It’s an act of love because God first loved us. Our inner response moves our outward response and vice versa. But our worship doesn’t just stop still – a worshiping heart is a heart that wants to grow and move deeper with God, draw closer, obey him. Basically become more like him. In Genesis 35 (show slide), we see a response to God, which shows that we work with the Holy Spirit to become more like God. Genesis 35.2, 3, 5 - “Get rid of the foreign gods you have with you, and purify yourselves and change your clothes” … I will build an altar to God… Then they set out, and the terror of God fell on the towns all around them so that no one pursued them. And worship can be felt physically sometimes, changing people. I know of a group who took worship onto the streets of South Wales and young people became Christians. We went to London during the Olympics and did worship and people were touched deeply - people were coming up saying, 'What is this music? Who are you?' really wondering and seeking something and someone even without knowing - God. Whenever the people saw the pillar of cloud standing at the entrance to the tent, they all stood and worshiped, each at the entrance to their tent. The people stood and worshiped when they saw the pillar of God. This shows their awe of a powerful God! The people stood when the Bible was opened – the Bible standing above them showing that the Bible is the top truth we live by. Standing puts us in a place where we can look and find God’s ways which are always best. Then Jehoshaphat stood up in the assembly… at the temple of the Lord in the front of the new courtyard… All the men of Judah, with their wives and children and little ones, stood there before the Lord. Jehoshaphat bowed down with his face to the ground, and all the … fell down in worship before the Lord. Then some Levites… stood up and praised the Lord, the God of Israel, with a very loud voice. Worship is the position to take when we’re in a battle, a difficult place or need God's help. God causes us to walk right and to stand in high places. High places just means being close to God. Who can stand in God’s presence and holy place – the one who is pure and puts God first. I lead a blameless life; deliver me and be merciful to me. My feet stand on level ground; in the great congregation I will praise the Lord. God’s ways cause us to stand on level ground (spiritually speaking). QUESTION 2 – How do we respond in worship to God? QUESTION 3 – How do we go deeper with God in worship? Why should we go deeper? Do you have any God-stories (testimonies) about worship and meeting God in worship? A take on Israel Houghton's song "To Worship You" by Steffany Gretzinger and others at WorshipU. This is 17mins.